Gili Air is known as the “alternative” party Gili. With a slightly more upmarket, older and mellower crowd than Gili Trawangan, the Gili closest to Lombok is frequented by Bali expats, “alternative” couples and travellers looking for something a little different. Travel guides normally try to explain the difference between Gili Air and Gili Trawangan by comparing their unique ecology. Trust us, you’ll hardly notice that Gili Air is a little greener, or that there’s more coconut tree plantations on one island than another. Of course, Gili Meno wins the best beaches award, no contest. But what makes each of these islands truly unique? Related article: What’s the difference between Gili Trawangan, Gili Meno and Gili Air? What makes Gili Air remarkably different from Gili Trawangan, as well as Gili Meno, is the surprising personality of Gili Air’s indigenous Sasak population. Their characteristically brusque yet completely charming and good-humored island attitude is what we adore about Gili Air islanders. And it’s a unique touch that you’ll only find in this tiny island, just 1.5 hours away from Bali. Does this sound like an interesting island vacation proposition? We love it too. Now we just need to help you find a place to stay. And ideally before you cast off to paradise. There’s less accommodation available on Gili Air than Gili Trawangan, and it does get very full on the weekends, even in low season. From chilled out bungalows to tropical hotels and villas, this handy Gili Air accommodation guide surveys the best places to stay in this paradise island. 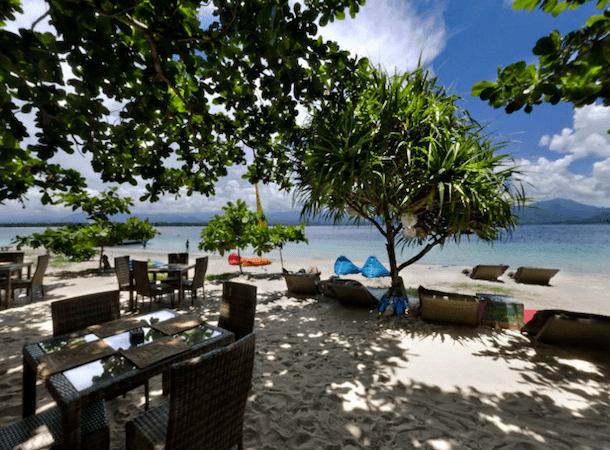 There’s just a few hotels in Gili Air, despite “Gili Air hotels” being the top accommodation search when it comes to accommodation in Gili Air. We get the idea behind the query; you want a modern air-conditioned room, breakfast buffet included, hot showers and a fluffy bed to retreat to — that also offers brilliant value for money. Well, the word ‘hotel’ is pretty deceiving in Gili Air. These island hotels offer a higher standard of bungalow suites, rather than multi-storey complexes with an elevator. Still, we think that’s pretty rad, considering you’re on a beautiful island; floating somewhere in the sea of the Lombok Strait. A relaxing resort in Gili Air set in a tropical garden with 31 chalets facing the seafront promises a European standard of service. Rooms are super comfy and decked out with aircon, satellite TV, mini bar and all those creature comforts we can’t live without on a desert island. The real highlight of this hotel however, is a massive salt-water pool and access to a dazzling private beach. The restaurant serves a smorgasbord of international cuisines, to keep everyone happy. And they’ll organise absolutely any activity or diving trip for you. Don’t strain lifting a finger cracking open that bottle beer, they’ll do that for you as well. Gili Air Hotel, rates start from US$50 per night in low season for a standard room, and up to US$120 per night in high season. Tel: +62 370 6621448 or email: info@hotelgiliair.com. Visit their website at www.hotelgiliair.com. Tucked away in the middle of Gili Air, yet just a short walk to Gili Air’s best snorkeling beach, Omah Gili is a hotel resort in Gili Air that features a clutch of traditional Joglo and Lumbung bungalows, fitted out with modern bedding and charming hand crafted interiors. The open air showers made from bamboo are pretty special too. Just a tip for traveling families: The rooms officially sleep up to three comfortably (two adults, one child). Child number two is charged extra, or you’ll need a larger room that accommodates four. Next holiday, pick the favourite and leave the other one at home. Just kidding. 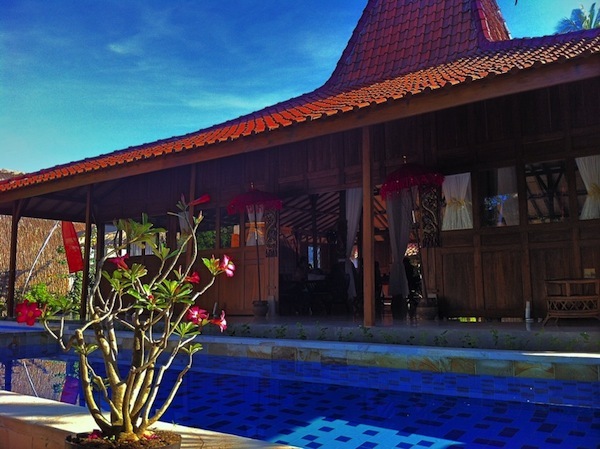 Omah Gili Hotel, Tel: +62 0818 875588 or email: Omahgili@gmail.com. Visit their website at www.omahgili.com for rates and reservations. 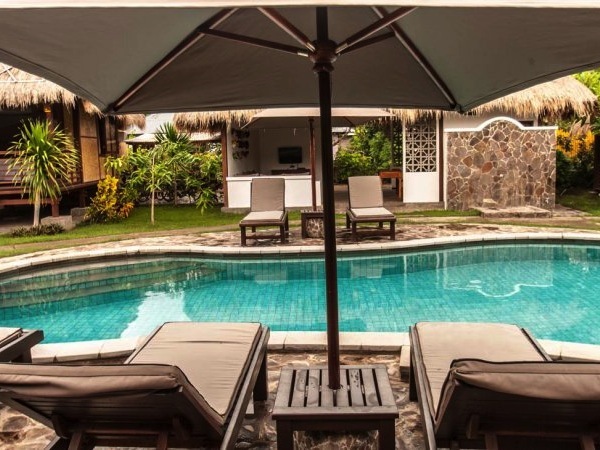 The Waterfront Hotel is a rare luxury hotel in Gili Air which combines both traditional and modern island living to create a blissful paradise, that provides excellent value at the same time. 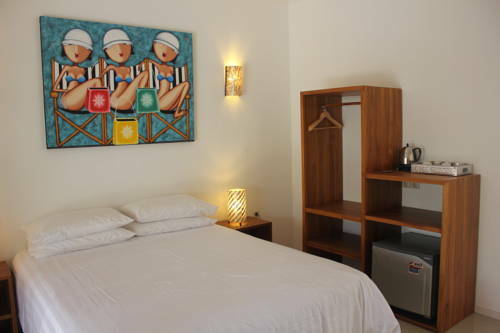 Rooms are located behind the bar and restaurant, just 50 meters from the beach. Relax on a private room terrace set in a tropical garden, by the swimming pool, or right on the beach and watch the day go by from the best seat in Gili Air. 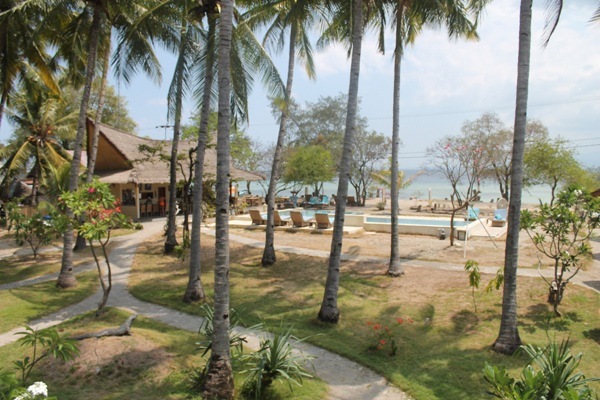 A fantastic value and quality hotel in Gili Air that’s great for groups and families offers both space and privacy. Relax by the private swimming pool or retreat to a sun lounger in the garden with a good book. You’re bound to find the perfect spot to plot up, unwind and enjoy the blissful sunshine. If the hotel is not busy, you might be able to negotiate a discount. It’s worth asking no? 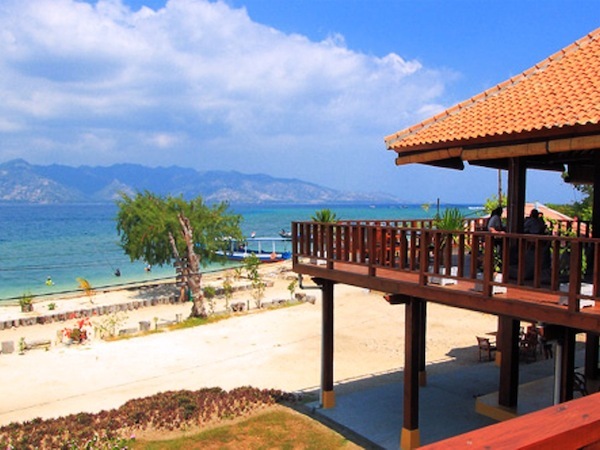 Resorts in Gili Air are all about quality accommodation and great beach bars and restaurants. Perched right on the water’s edge, overlooking the white sand beaches of Lombok across the water and backed by the drama of Mount Rinjani, you could spend the whole day on a sun lounger, or at the bar where you’ll inevitably have a few interesting conversations, with a series of interesting characters, and over something interesting to eat. 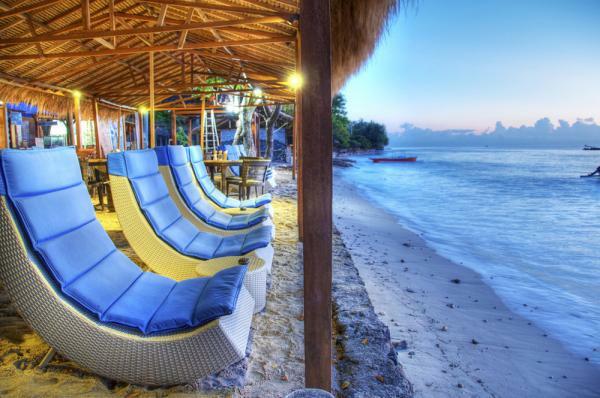 The Beach Club Gili Air is a superb tropical island oasis that caters to your every desire. Located on the south side of the island (close to Scallywags) on the sands of arguably the best and most popular beach in Gili Air. Here, you’ll dine under an intoxicatingly beautiful blanket of stars (and perhaps a few Bintangs too). But the real highlight is the movie nights held right on the beach. The kids love it, as did the kid inside us. This newly opened luxury beachfront resort in Gili Air is located in the middle of the island’s action. You’ll want to sip cocktails all day, and all night, on the stunning oceanfront deck that shows off Lombok’s changing landscape and picture perfect ocean vistas. If you’re not in the market for a private villa with a pool, then sampling from their menu is a must. They do everything from Italian to Sushi and Indonesian classics, and do it well. The oceanfront bar and restaurant has a fabulous beach club atmosphere; you could be in Gili Air, or the Aeolian islands for that matter. It could be the music, it could be the stylish deck — all we know is that it works. 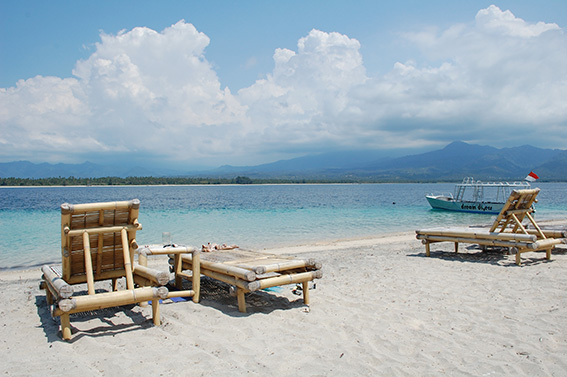 Looking for a cluster of beach bungalows in Gili Air just steps from the beach? Satu Tiga Resort gives you just that, and a refreshing pool and bar. Because that’s what a tropical island holiday is all about. It’s a no-frills resort with a basic-to-decent standard of accommodation, so you should be able to strike up a good deal if they’re not busy. Rooms can be booked via Booking.com, but expect to pay a premium for online bookings. If you want to be closer to Gili Air’s action, Scallywags has you covered too. Just a short two minute walk from the harbour and only ten minutes from Scallywags Beach Club & Grill are 12 private guest rooms, each with en-suite bathroom and private garden. What can we say, except that Scallywags has done it again. 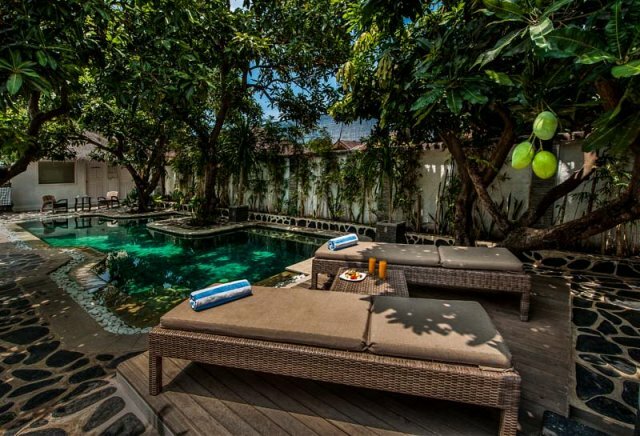 When it comes to unbeatable and highly recommended accommodation in Gili Air and Gili Trawangan, there’s just no way to go wrong with a stay at Scallywags. A lush take on a traditional village includes a stunning pool and sun deck, relaxing bales and sun loungers where you can read a book or get a massage. 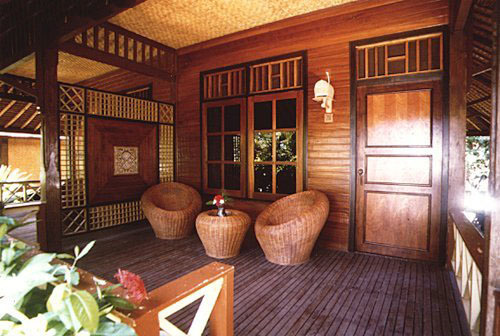 And of course, beautifully appointed two bedroom villas and one bedroom bungalows set in a tropical garden. Its quintessential island living at it’s finest. Interiors are beautifully appointed with quality furnishings and hand crafted deco. You’ll also be well fed and watered here. And if the villas and bungalows are out of your price range, they’ve built a few budget rooms, so that nobody misses out. Private villas in Gili Air are great for families and low-key couples who want to the option to socialise with the island crowds at the bar and restaurant, or retreat to a private pool and garden. And why not? One can’t be forced to tolerate strangers when not in the mood. Especially not one one’s idyllic island holiday. If you value privacy over the possibility of meeting someone interesting to talk to, then one of these Gili Air villas is the perfect place for you. Don’t want to lug your bags too far from the boat landing? Bellevue’s collection of luxury villas are located right by the harbour. You might want to saunter down to the better snorkeling beach, but that’s what a day well spent on the island is all about. The staff here are great when it comes to organising activities such as island hopping and fishing trips, so you’ll sleep well here and be well looked after. Rates are nice and reasonable, especially if you book for seven nights or more (IDR 3,499,999 for the week). Looking for villa accommodation in Gili Air that offers plenty of space and is perfect for groups and families? 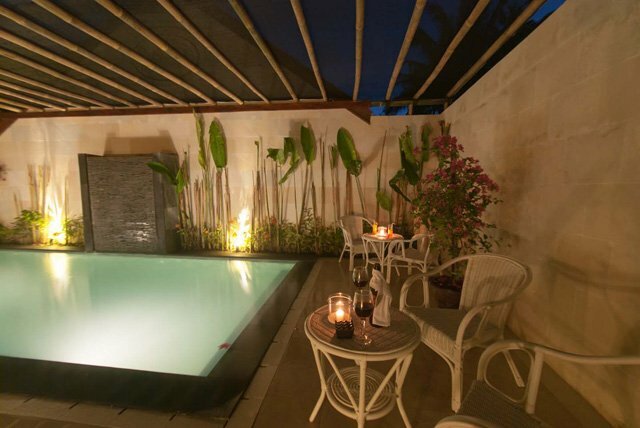 Gili Air Villa is not the newest, but it has all the space and comfort you need to keep everyone happy. Three large double air conditioned bedrooms share one large bathroom (that’ll be um, interesting). There’s a fully equipped kitchen, dining area, lounge, balcony, satellite TV and WIFI. For just US$120 per night in low season, you simply won’t find better value. Bulan Madu means honeymoon in Bahasa. Hence this resort was built with the simple sophistication of romance in mind. Five villas, each with its own Bruga and private garden are set in a tropical garden. With the beach right at your doorstep and a wonderful oasis in paradise to retreat to, you’ll certainly create unforgettable moments here. It’s not the fanciest villa resort in Gili Air, but seen under the golden haze of romance, all you’ll remember is a glamorous desert island beach shack where you once..
Nestled in a tropical plantation of swaying palm trees, Soul Villas Gili Air is a modern and relaxing villa resort located just 350 meters from the boat harbour. The property is also within walking distance to shops and restaurants. Five bright and breezy queen and single twin villas are beautifully appointed with buttery bedding, aircon and outdoor showers; sharing a sunny pool and sun deck for just IDR750,000 a night in low season. We can’t help but notice that the set up is comparable-ish to Scallywags.. 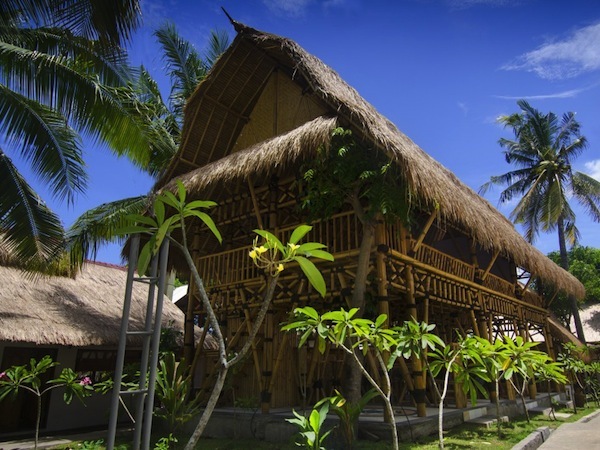 The most authentic island accommodation in Gili Air are the island’s contingent of bungalows and cottages. Some are old, some are new, and all are in various states of maintenance. But for the price, around IDR450,000 – IDR 600,000 (with aircon), one doesn’t expect the Holiday Inn. The locals who look after the bungalows and cottages are always friendly and up for a chat, so that’s a big plus. Celebrate keeping to your travel budget with a few extra Bintangs and you’ll sleep just like a baby. 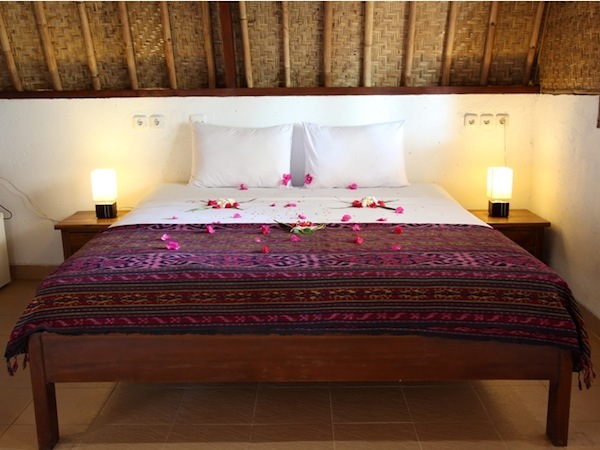 7Seas Cottages offer backpacker rooms for just IDR80.000 a night; its probably the cheapest accommodation you can find in the Gili islands. At that price you don’t expect (or get) much more than a single bed, a fan and a shower. The cottages on the other hand are lovely, big, spacious and wonderfully charming. The Garden Cafe across the street is where you’ll get a cheap meal, and if you’re in Gili Air to dive or get your PADI then everything you need is right here. Along the buzzing yet relaxed east coast of Gili Air with the best views of sunrise over Lombok, and sandwiched between a merry cohort of oceanfront bars and restaurants, Raja Bar & Salim Cottages offer modern and comfortable rooms starting from IDR600,000. For what the rooms lack in luster, they make up for in location, location location. If you’re looking for a close encounter with the culture and traditions that make the Sasak people of Gili Air unique, then a stay in a Sasak village is a must. 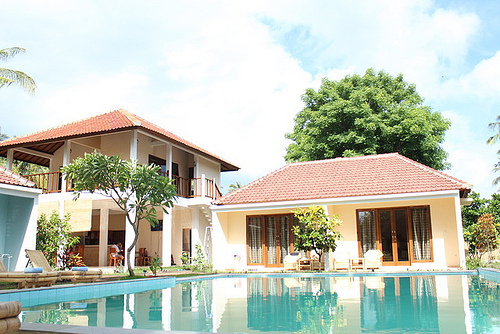 Sejuk Cottages is a collection of charming and upmarket traditional bungalows and cottages. 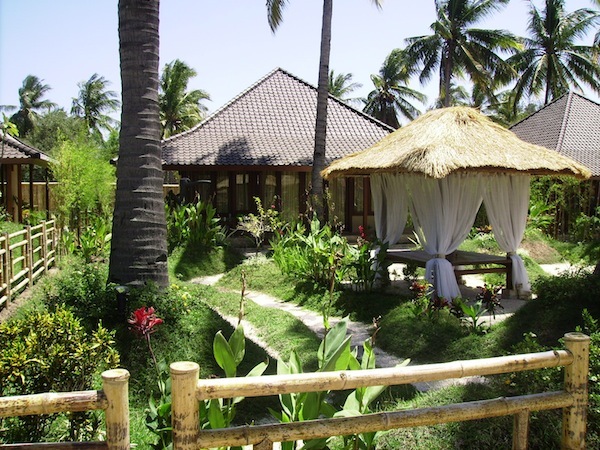 What makes this Gili Air accommodation stand out, is that the village is beautifully serene and wonderfully peaceful. Ideal for those visiting the island for the relaxation factor, and not the social scene. 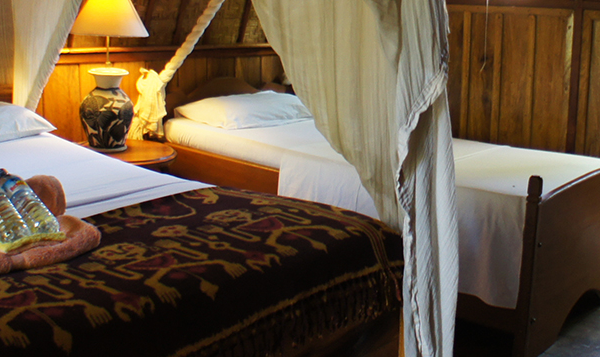 Rates start at IDR380,000 per night, which is a wonderfully low rate if you ask us. There are just eight bungalows, which were not quite built at the same time, so some are more modern than others (don’t forget to mention this is if you’re booking via email). 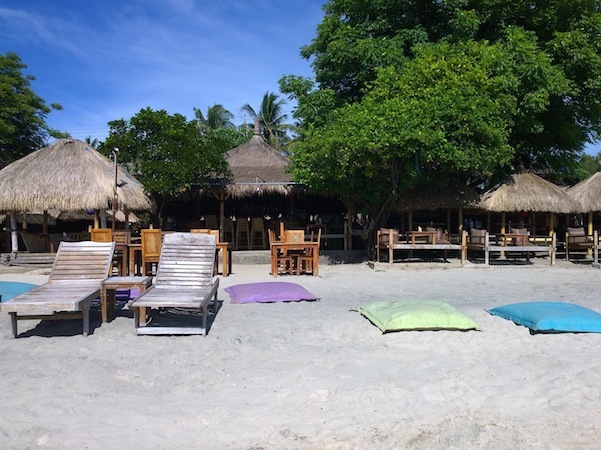 The real highlight of Gili Air Bungalows is the Chill Out beach bar. It’s an unbeatable spot to bask in the sun by day, and dine on excellent seafood BBQ at night. They score top marks when it comes to the quality of their food and cocktails, yet perhaps a little less on service, but that’s the way it goes around these parts. Opened in 2010, Star Bar & Bungalows is known for having a fantastic bakery where they bake their own bread and desserts, and a super chilled bar on the beach. Set close to, but a good distance away from the crowds at the same time, it’s the perfect spot to unwind completely. Nothing, and no one can trouble you here. Accommodation options are wonderfully affordable. 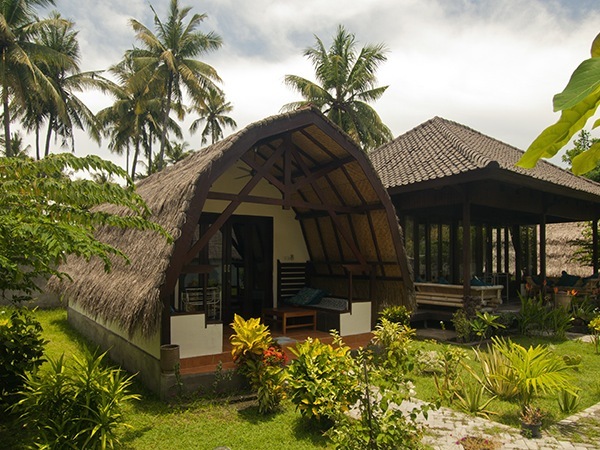 Stay in a bamboo bungalow for IDR350,000 a night or splash out on a luxury bungalow with king size bed and aircon for just IDR600,000 in low season. Can we check in here and out of the real world now please? Zipp bar and bungalows is a favourite island haunt with the Bali expat crowd. Located on the south east of the island, with some of the best swimming and snorkeling on it’s door step, comfy air conditioned beach bungalows and a great restaurant that serves still-swimming seafood BBQ and wood fired oven pizza – you don’t have to move very far to enjoy the best that Gili Air has to offer. Nor will you want to. Did we mention their unbeatable full moon parties with a retro twist? Don’t forget to pack an aloha shirt! Book your Gili Air accommodation on Lonely Planet. Was it Gili Glamours perhaps? Great reviews thanks! 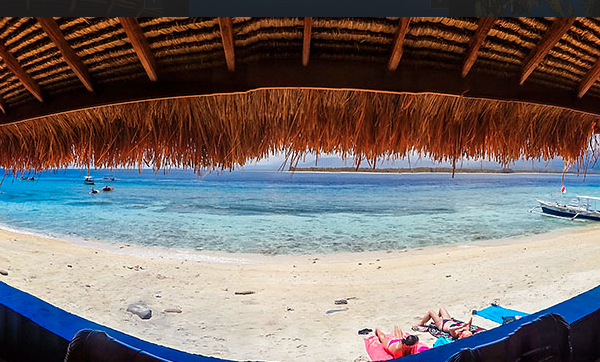 So if you could pick one place to stay in Gili Air which one would it be? I am looking to visit gili air with my girlfriend and we are looking for a bungalow, preferably beachfront that has its own private pool. We want something basic with a large bed and was looking to spend $50 US a night. Any help would be greatly appreciated. Why don’t you make the links to each hotel, live? (permalinks) It’s both good for your website and those of us reading your reviews.